After more than a 36-year career with the DuPont Company, Irving knew he was not ready for full-time retirement. He wanted to remain active and productive, yet from a broader, philanthropic perspective. “I looked at the core aspects of life that were important to me: education, youth, sense of community, family and helping others to gain access to opportunities,” Bell said. Professionally, a review of his successful career shows a pattern of dedication to excellence and continuous learning. During his DuPont career covering the industry coatings sector, Bell has completed assignments in Manufacturing, Sales and Product Management. Bell is listed as co-inventor on two DuPont patents for a process for producing a target coating having two or more coating layers over a substrate, and a primer coating composition comprising a topcoat component and one or more flatteners. Recognizing the importance of higher education and community involvement, Irving has servedon the Board of the Liberian Awards (Wilmington, DE) since 2013, The Liberian Awards, a 501c3 nonprofit organization, addresses academic awareness and mentorship. The organization recognizes and pairs Liberian professionals who have excelled in the Diaspora as mentors with students identified for their high potential and academic excellence. Irving also volunteers with the Wilmington, Delaware YMCA “Black Achievers” program which provides college-readiness guidance to junior high and high school students. He also contributes to varied community service organizations that demonstrate a commitment to help high-school and college students to succeed and reach their full potential. Irvingis an elected officer of The Monday Club, the oldest Black Men’s Social Club in the State of Delaware. Founded in 1876, the organized social club, focused on the needs of the black community, is believed to be one of the oldest in the United States. Through the organization, members support each other and work to serve as community leaders and role models. The Monday Club offers scholarship and book awards to students entering college, and supports a wide varied community service programs. Further, Irving is a life member of Iota Phi Theta Fraternity, Inc. The fraternity recently introduced its latest benchmark initiative, “I-SHIELD,” designed to address and help end all forms of abuse. I-SHIELD stands for “IOTAS Saving, Healing, Improving, Empowering Lives Daily.” The program’s five targets include Human Trafficking, Sexual Abuse, Domestic Abuse, Elder Abuse and Child Abuse/Bullying. Mr. Bell received a Bachelor of Science degree in Civil Engineering from Northeastern University, Boston, MA. A resident of Chester County, Pennsylvania, Irving is married, has one sonand is now the proud “G-Pop” to two grandchildren. Naweh E Diggs holds a Masters of Social Work from the University of Pennsylvania and a Bachelor of Science in Sociology and Anthropology from Towson University. This recent Ivy League graduate was one of the first recipients of the Liberian Awards Scholarship and brings to 2013 Liberian Awards planning an intimate understanding of the organization as she directs the scholarship application process, coordinates entertainment, and manages event logistics. Compassionate and caring, Naweh has assisted in multiple global humanitarian efforts including fundraising for Haitian earthquake survivors, for a Cameroonian school, for Liberian youths, and for “The Lazarus Effect” to fight AIDS in Africa. Naweh has experience in strategic planning, event planning, youth outreach and mentoring, and budget management. In addition to her love for nonprofit administration, Naweh enjoys the performing arts. She is a previous recipient of the Duke Ellington and the Golden Voice Awards. Kletos Fotibu is a Consultant at Duke Energy, where he manages 25,000 servers impacting several states. In his previous positions, Kletos has served Fortune 500 companies as a Network and Technical Engineer in his roles at Nortel Networks and Bladelogic. He is an Information Technology Specialist who has not only singlehandedly taught himself for multiple reputable certification examinations, but has also tested and become certified in MCITP, CCNA, MCP, CNA, CCP, Linux, and PictureTel CVE. Humbly, his proudest accomplishment is being a father. Kletos enjoys Bible studies, photography, reading, and running. Dr. Anthony Barclay, Senior Advisor at World Bank, has contributed to the promotion of strategic engagements of African countries with the World Bank Africa Group in the areas of economic growth and poverty reduction. 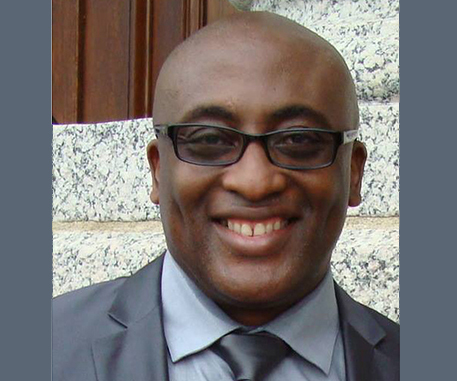 Having decades of experience with reputable international agencies, Dr. Barclay has served the continent of Africa through his work on several development-oriented issues. 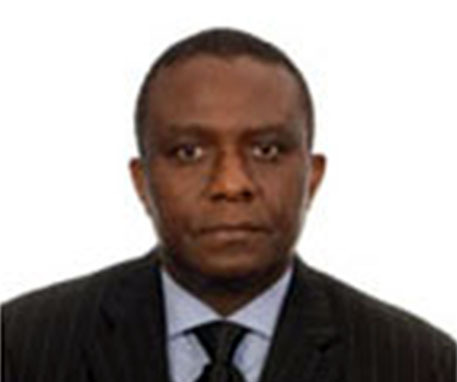 Formerly a United Nations Development Program (UNDP/Liberia) Consultant and Staff (Economic Specialist), a Program Officer at the African Capacity Building Foundation headquartered in Zimbabwe and a Poverty Alleviation Advisor at the Economic Community of West African States (ECOWAS) Commission, Dr. Barclay’s past work has extended beyond West Africa into Ethiopia, Namibia, Lesotho, and Kenya. He holds a doctorate in Urban and Regional Planning from University of Wisconsin. 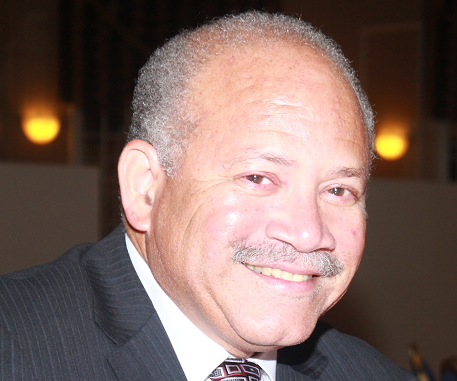 Dr. Barclay is also a 2011 Liberian Awards honoree. Greensboro, NC. She is dually board certified in Family Medicine residency and Obstetrics and Gynecology. After completing a FP residency and practicing for one year, Dr. Harraway-Smith went on to complete an obstetrics and gynecology residency and maintains her board certification in both specialties. She was OB/GYN faculty and fellowship director for the Family Medicine Obstetrics fellowship at the University of Tennessee in Memphis for seven years and is currently faculty to interns, residents, medical, Physician assistant and midwife students at Cone Women’s hospital in Greensboro. 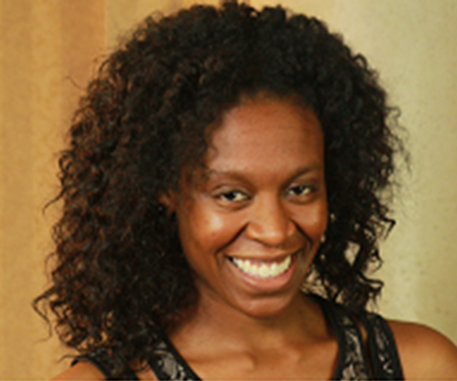 Dr.Harraway-Smith initially completed a Family Medicine residency at The Medical College of Virginia in Richmond followed by an Obstetrics and Gynecology residency at The Union Memorial Hospital in Baltimore, MD. 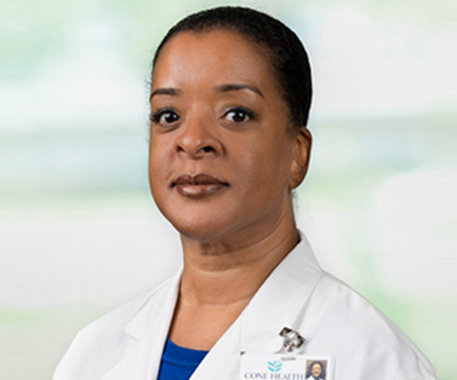 She has been active in hospital leadership and has served as the chairperson for the department of OB/GYN at St. Francis hospital in Memphis, TN and was on the board of that same hospital prior to relocating to Greensboro. She specializes in minimally invasive GYN inpatient and outpatient surgery. As one of the first in her family to graduate from college and go on to obtain a graduate degree Dr. Harraway-Smith is a major advocate for students at all levels. She has served as mentor to countless numbers of students of various stages of their career. Shaped by the atrocities of a brutal civil war, Samantha overcame many obstacles in escaping to America and beginning a determined journey to make something of her life. She completed high school with honors and matriculated into college at age fifteen. In less than four years, she earned her Bachelor of Science degree with honors while also holding down many diverse jobs and serving numerous organizations. The founder of Liberian Awards, Inc., a nonprofit organization that mentors college students and recognizes immigrants excelling in the Diaspora, Samantha has over a decade of work experience in business. Her real life experience in overcoming obstacles has led her to become an overcomer in all areas of her life. For her, obstacles and challenges are nothing to be feared, rather they are to be embraced, studied, and attacked with all the wisdom, skill, and passion she has developed during a lifetime of overcoming. Samantha has managed over forty direct reports and multimillion dollar budgets, assisted in capacity building, established employee development plans, and received recognition for her community development efforts. 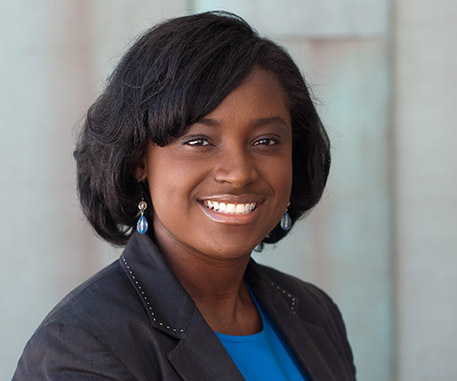 Samantha is passionate about education, mentoring, and community development. She has served communities in Delaware, Pennsylvania, and Maryland through organizations including YMCA, YWCA, Federal Home Loan Bank, Rotary International, Delaware’s Bankers Association, Montgomery County Youth Ross Program, and Lincoln University. Samantha holds a Doctor of Jurisprudence from Pennsylvania State University’s Dickinson School of Law and is married with two children. © 2010 - 2050. All Rights Reserved. Designed & Developed By: The Liberian Awards Team.